Have you ever thought of the Christmas season as a journey? It certainly was for Joseph and Mary, from Nazareth to Bethlehem; for the shepherds, from their fields to the stable; for the wise men, from their home in the east to Judea. And for God’s only Son, from his place in heaven to earth as a baby lying in a manger. As you travel toward the night of nights this season, take time to consider their stories, their apprehensions, their fears, their courage, and their faith. As you Journey to Christmas, invite someone to journey with you. Traveling with friends and loved ones is always best. This season of the year on the Church calendar is called Advent. Advent means “coming” and generally covers the four weeks before Christmas when we prepare our hearts to celebrate the coming of Christ. Advent is a time to focus our hearts more fully on Jesus and to give thanks for His coming. It is a time of repentance, cleansing, and meditation on the goodness of God. Words that mark this time are hope, joy, peace, love, waiting, and salvation. Mike Stewart is an educator, pastor, speaker, and mentor. 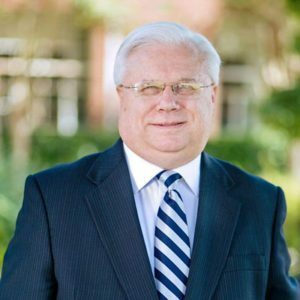 He is Dean at Richmont Graduate University School of Ministry, former president of Emmanuel College, and has been pastor of several churches. He has spent his life encouraging and leading others to trust God and discover their best self. He is joined on his journey with his wife, Pam, and two sons, Justin and Joshua.